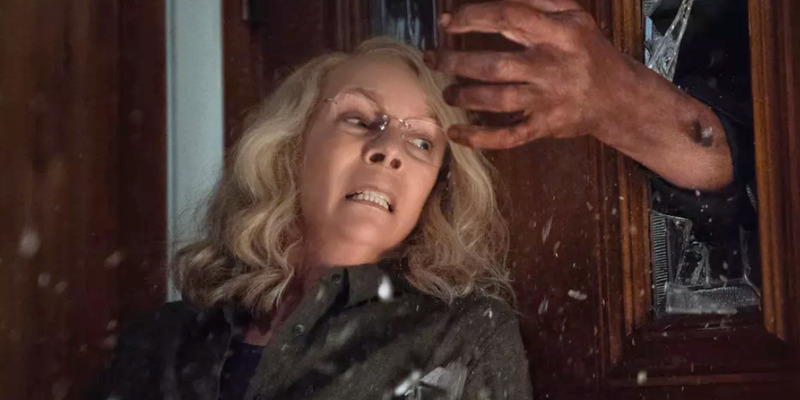 “Halloween,” the new direct sequel to the 1978 classic original, took in an estimated $US77.5 million over the weekend. It’s the biggest opening even in the franchise and for a movie produced by Blumhouse Productions. “Halloween” is the second-biggest opening for a horror movie, behind 2017’s “It” ($US123.4 million). Michael Myers showed this weekend he can still get butts in the seats. Director David Gordon Green’s sequel to John Carpenter’s legendary original 1978 movie, which he penned with Danny McBride, brought in an estimated $US77.5 million. That’s the biggest opening ever for the “Halloween” franchise and the best for any Blumhouse movie. “Halloween” is also the second-biggest opening weekend ever for an October release (just below the $US80.2 million earned by “Venom” three weeks ago), and second-biggest opening ever for a horror movie. The first being Warner Bros.’ “It” in 2017 ($US123.4 million). Audiences and critics alike loved this latest “Halloween” sequel, which took the “Star Wars: The Force Awakens” formula of paying homage to many of the traits of the original movie. 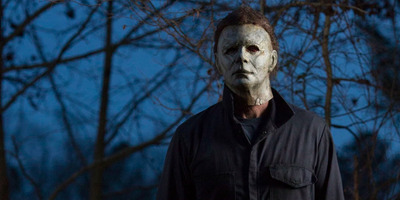 Excitement for the movie has been high since the project was announced in 2016, as the franchise creator John Carpenter confirmed his involvement as an executive producer, which marked the first time he’d be directly involved in a “Halloween” movie since 1982’s “Halloween III: Season of the Witch” (for which he was a producer). Carpenter also created new music for the movie, adding to his already iconic score from the original. BlumhouseThe new ‘Halloween’ took a big slice into the box office this weekend. Also signed on to reprise the role of Michael Myers’ obsession, Laurie Strode, was the franchise’s star, Jamie Lee Curtis. And if that wasn’t good enough, Jason Blum’s Blumhouse Productions also came on board. The perennial horror production house has been providing studios with huge box office profits on its low budget thrillers for years. In fact, it did just that for Warner Bros./New Line in early September with the huge $US53.8 million opening for “The Nun,” which is the biggest opening ever for any of “The Conjuring” movies. “The Nun” has since earned over $US360 million worldwide – a fantastic return on a $US22 million budget. Universal/Blumhouse could be seeing an even bigger profit with “Halloween.” The new Michael Myers horror was made for just $US10 million. Industry projections had “Halloween” coming in around $US60 million to $US70 million over the weekend, but the news gradually got better and better that Universal would top the projections. On Thursday it took in $US7.7 million, helping the movie to a $US33.3 million Friday (second-best Friday for a horror, behind “It” with $US50.4 million). On Saturday, the movie took in a healthy $US27.3 million (it played on over 3,900 screens, domestically). Globally, the movie has brought in $US91.8 million. Forty years after Carpenter’s first “Halloween,” it looks like the franchise has no signs of slowing down.